Welcome to the European FooD-Studies and Training Alliance! 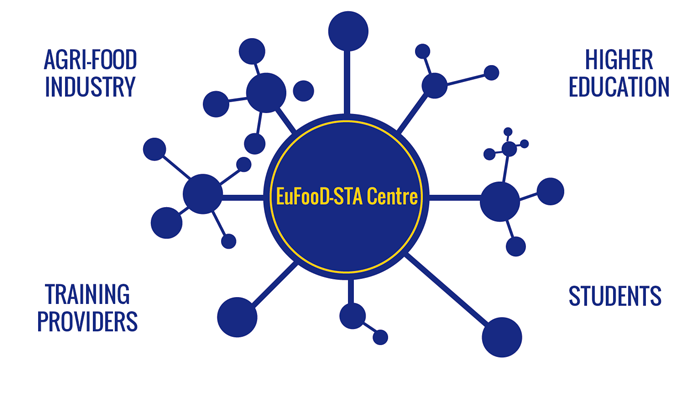 The ERASMUS+ Knowledge Alliance project (554312-EPP-1-2014-1-AT-EPPKA2-KA) will establish an independent “EuFooD-STA Center”, a platform with local hubs in different regions, as an organisational frame for international and sustainable collaborations between industry and academia in the food sector. Click here to assess and contribute! To subscribe to our newsletter, please enter your email-address below!